le samedi 12 décembre 2009, jour de lancement de l¹association Alain Dister. ainsi que les différents éléments pour faire circuler l¹info. Lancement de l¹association Alain Dister. The photo 10th along the row,and the 11th is that the same day as the photo with The mothers outside a Cafe? This looks the same time also. Cleon, I cannot see 11 photo's along a row or see a 10th photo. Can you tell us what you mean? There is a photo of FZ with his ES 5, that beautiful Gibson hollow body, in which he is shrouded in darkness, beautifully captured by Alain Dister. Gallery NY dolls first pic,Go along the small photos along the bottom FZ with a big looking bowler hat,and one next too it with the 66 Mothers. i can;t see no more on there? 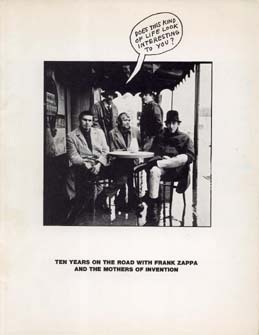 Alain Dister's "Frank Zappa et les Mothers of Invention" was my first book on FZ. Just for the record. 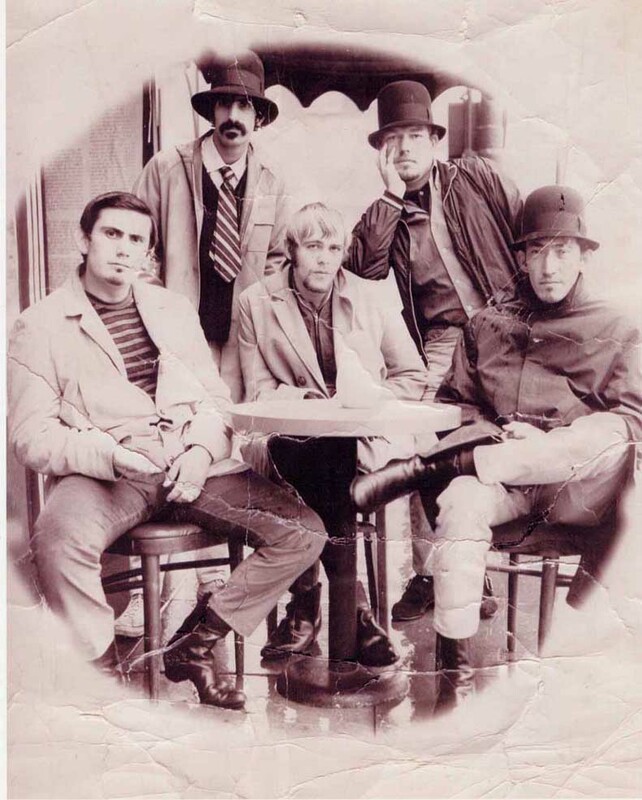 i not sure if the other photo on the link is in the Interview CD Booklet. frank looks much older than 25 here. strangely enough, when he was in his 30's, he looked younger. he looks like he knows he's headed for better things. Real & Defined Androgens -- Yow! Is any of them Jim Guercio Who had temporarily replaced Ray collins? 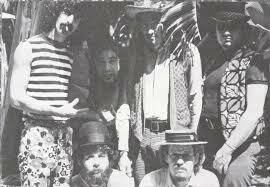 Alice Stuart,Henry Vestine Jim Fielde+ Steve Mann Who was Guitar player Before Elliott Ingber. It's the same humans in the pic that you posted, just another shot from the same reel of film I reckon. I believe the man at the centre is Henry Vestine. Roy, Frank, Henry, Ray, and Jimmy. Last edited by cleon on Fri Jan 01, 2010 10:53 am, edited 2 times in total. Frank, Jimmy(?) Carl Franzoni, Roy, Ray, Elliot Ingber.